Fitness Zone offers a variety of group fitness classes to fit any level of ability. Whether you have been sedentary for some time, or are a top athlete, there’s a group class for you. Group fitness classes and boot camps are a great option for individuals looking for group accountability, motivation and inspiration, and are a more affordable way to work with a personal trainer. Start your fitness regimen with these classes! Body weight exercises, light kettlebell and weighted ball work is used. Sessions are 45 minutes in length and are appropriate for beginners. These classes are taught by Jessica Springs on Tuesdays and Thursdays at 5:15pm. For more information email Jessie Madison. This class is a beginner and intermediate level class with an emphasis on building stability and strength in individuals with mobility challenges. This class is taught by trainer, Jessica Powell. For more information email Jessica Powell. Take your fitness to the next level! 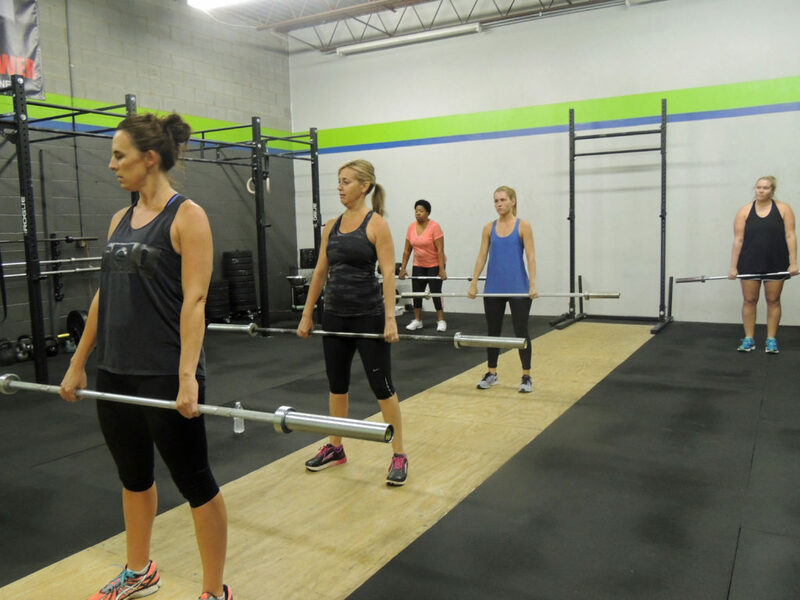 Barbell experience is recommended in this class. Classes are 60 minutes in length and are appropriate for intermediate to advanced individuals. Monday: 5:30 a.m., 9:30 a.m., 6:00 p.m.
Tuesday: 6:00 a.m., 9:30 a.m., 6:00 p.m.
Wednesday: 5:30 a.m., 9:30 a.m., 6:00 p.m.
Thursday: 6:00 a.m., 9:30 a.m., 6:00 p.m.
Friday: 5:30 a.m., 9:30 a.m.
Join Marcus Webb for a boot camp. This class will focus on full body conditioning for any level of fitness. Exercises will be scaled to each individual. Learn more here. This class is an all-levels class designed to increase metabolic response and strength at the same time. This interval and circuit style class is great for any level; exercises are scaled to the individual. Classes are taught by Jeff Cook and are held on Saturdays at 9am as well as 10am. Contact Jeff to sign up. This class helps to alleviate muscle, tendon and ligament tightness, build a stronger core, and align the spine through dynamic flexibility training, strength conditioning and balance work. Classes will focus on poses for exercise-specific risks, taking into consideration pre-existing conditions and peak fitness goals. Sessions are 45 minutes in length and are appropriate for beginning to advanced practitioners. Classes are taught by Becky Scoggins by appointment for groups of 4 or less. One-on-one options available. Click here to sign up.